The photos of Tyuncher Eminov aren’t just capturing views of mountains and towns in Bulgaria. They are inspiration in its purest form. And an invitation to go ahead tie your shoes, throw the backpack on your back and go along known and unknown paths. Here is what Tyuncher told us about his favourite spots for taking photos, about the bench he always carries in his backpack, and about the things that cannot be caught by the lens. – Who is Tyuncher Eminov? – My name is Tyuncher Eminov – Tyunkata. I’m 28 years old and I live in Sofia. I am a molecular biologist by education, an IT specialist by profession, a nature photographer – by passion, (if I may define it this way). A sufficient number of areas of knowledge for a typical Sagittarius. I love nature, photography, cycling and hiking, and I try to spend most of my free time with a backpack on my back, walking on some known or unknown path leading to new places to be discovered. – When and where did you stand behind the lens for the first time? – I have an affinity towards photography ever since my student years. I still have my first camera Vilia. But I actually began to understand what lies behind the words photo (light) and graphy (to write) 3-4 years ago. Since then I am the owner of a single-lens reflex camera and I m improving my skills with it. – Where do you find inspiration for taking photos? – For me Nature is the most inspiring. It offers such a range of colours, nuances and shapes, that there surely are moments that nobody has captured yet. A fiery red sunrise of the seashore or a mystic foggy spring forest are capable of keeping me in ecstasy for a long time. Unfortunately photography still can t convey the feeling of the wind, the smell of the air, the warmth of the sun on a frosty winter day. But I am trying to capture them with the methods of photography and share them through my photos. I also like the artificial lights of populated areas. Towns, seen from above, or lit-up buildings, reflecting in a puddle, give quite interesting results. – How do you find interesting destinations? – I often go on virtual walks with the internet-based geographic maps. I study the places that have made an impression on me – I look at photos from the area, I read articles or other information. I imagine how I would do a particular type of shot there. This is how I find my destinations for tourism and photography. Then I try to get there as soon as I can. Of course there is always a difference between the virtual walk and the real one. That s the charm of exploration – the element of surprise. On my walks I always carry the full set of photo gear – a camera, several lenses, filters, a tripod, etc. – about 5-6 kilograms. All of this weighs down the backpack, but it s not rare for me to wait for a beautiful sunset on a peak and capture a moment with an interesting state of nature. I mainly count on being somewhere outside to have a higher chance of those moments happening. It s a matter of luck and a bit of preparation. – What is your favourite spot for taking pictures in Bulgaria? – It’s hard for me to pick my favourite place to shoot. They are a lot. 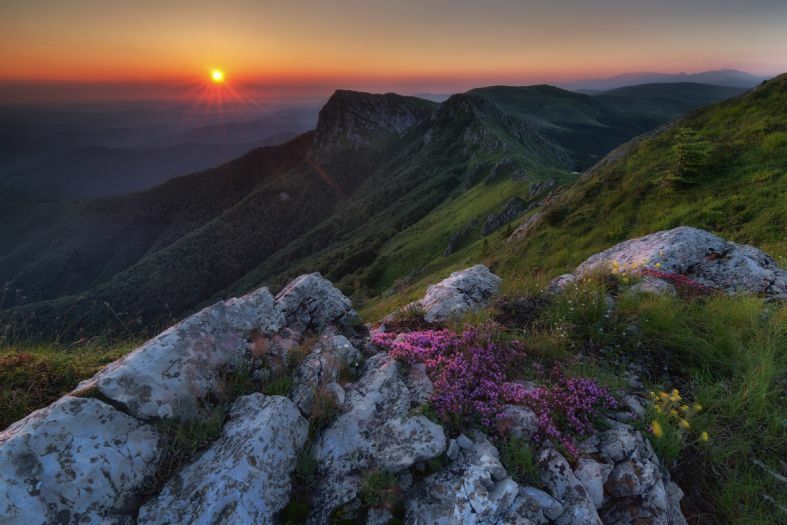 Mountains and plains, the Black Sea coast. Each natural area has its own charm and energy. It s more that I avoid moments on natural sites when there are large crowds of people. If the spot is very interesting, I prefer to be there when the people are absent. – Where is the bench with the best view in Bulgaria? – In my tourist backpack with a lot of luggage I have also found a place for this bench. I carry it with me. I take it out and I sit on it to rest on every mountain crest, lush fertile plain or seashore. But otherwise, I can think of the bench in front of Opasniya Zab (The Dangerous Fang) Shelter above the town of Teteven. There is a memorable view of the town and surrounding peaks. You can find Tyuncher Eminov – Tyunkata s photos at photo-forum, 500px and flickr. Searching for the best gifts for photographers? Find additional reading here. 20 symptoms of dromomania. Do you have It?